Saline Valley is located in the northwestern portion of Death Valley National Park, northwest of Death Valley and east-northeast of the Owens Valley. Hot springs, a dry lake with a salt marsh and sand dunes are natural features of the valley. 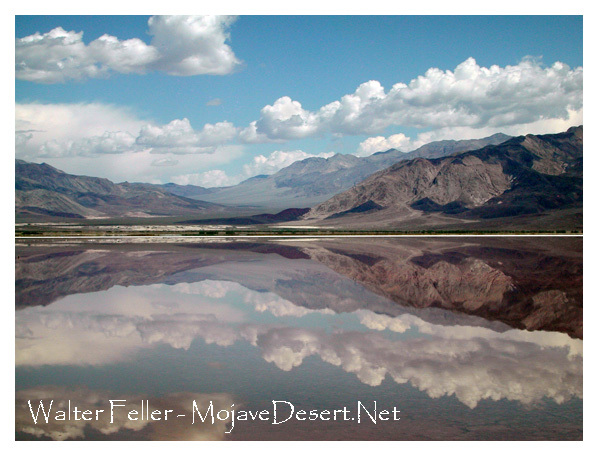 Saline Valley was inhabited in late prehistoric times by the Timbisha (also known as Panamint or Koso). The Timbisha Shoshone were relocated from the area in 1933 to nearby Darwin, California. The Conn and Trudo Borax Company mined borax in the valley from 1874 to 1895. Salt mining began in 1903 and continued into the 1930s. 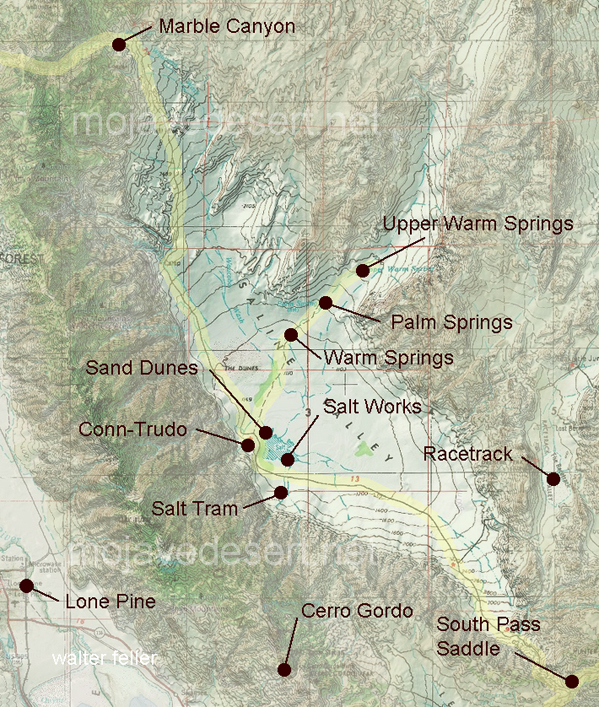 An aerial tramway was constructed in 1911 to carry salt 13.5 miles from an elevation of 1100 ft in the Saline Valley, to 8500 ft. over the Inyo Mountains, then down again to 3600 ft. in the Owens Valley.